Home / Healthy habits / parenting / Should you drink alcohol in front of children? Find out! Should you drink alcohol in front of children? Find out! It’s a hotly debated topic – should you drink alcohol in front of children? The reality is the answer is yes and no. As a parent, your behavior has an enormous influence over the way your children will grow up and act like adults, particularly during their impressionable teenage years. Kids copy their parents whether you like it or not, so it stands to reason they will also copy their attitudes to alcohol. Research shows that from a young age children learn about acceptable behavior by observing and copying their parents, so when it comes to drinking, it really is a case of leading by example. 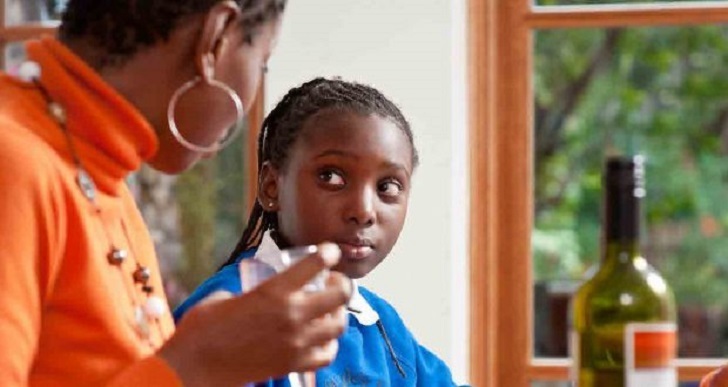 What they see at home helps children think about how they will drink alcohol as an adult. So, just as children learn to walk and talk like their parents, they learn how to drink like them too. Research also shows that drinking responsibly in front of your children will model the appropriate behavior for them, and they are more likely to grow up to drink in moderation as well. However, there are always exceptions to the rule. You may not be drinking and bring up your kids in the same way, yet they grow up to be alcoholics. What can you do to teach your children to respect alcohol? You can follow these simple tips to demonstrate your own responsible attitude to drinking. Talk to them – Open and honest discussion is the best way to teach your children anything, so talk to them about alcohol and its effects. Tell them what happens to their bodies if they binge drink, how to go out and have fun without drinking, and how to drink responsibly. Explain that different types of alcohol have different strengths, and too much can have disastrous consequences. Better to find out from you than experimenting in a park somewhere with their equally inexperienced friends. Be a responsible drinker in the home – Drink within the low-risk alcohol unit guidelines of not regularly drinking more than 14 units per week for both men and women, and spreading them evenly over three days or more. This shows your child that adults can enjoy alcohol in moderation. Don’t feel hypocritical for drinking when you have told them they can’t. Instead, explain that alcohol is only for adults because their bodies have finished growing, and even adults have rules about how much they can drink. Talk to your kids about different drinks having different strengths and let them know what an alcohol unit is and how it’s measured. Show them through your actions that drinking in moderation is the best way to enjoy alcohol without going overboard. Be a responsible parent – It’s ok to drink at home, and at the same time tell your kids they can’t. Apart from the fact it’s illegal, growing bodies can do without the dangerous effects alcohol can have on them. Set the ground rules for drinking at home, with the number one being ‘if you’re not 18, you’re not drinking’. Be honest with your kids – If you’ve got a hangover, don’t pretend that you don’t or try and hide it if your kids call you out on it. Own it, explain that it’s what happens when you drink too much, and it’s how they will feel if they drink too much. After all, if an experienced drinking adult can feel this way after a few too many drinks, imagine the consequences for a young inexperienced drinker if they have too many. Which way should you go – to drink or not to drink? It’s fair to say the decision to drink alcohol in front of children is totally up to you. If a non-drinker tells you are doing the wrong thing because you enjoy a responsible drink in front of your kids, it’s up to you to make the judgment. If you don’t drink in front of your children, or if you drink responsibly, you’re both equally right. However, it’s fair to say that getting drunk while the kids are around is irresponsible parenting. Imagine your kids seeing you get drunk and passing out on the couch every Friday. Yet you expect them to respect you and look up to you for guidance. Once you model that behaviour to kids, then you might want to have a good think about the kind of adults you want your children to become.